EudaeSense is a cross platform mobile application that tracks emotional states using popular consumer activity trackers and smartwatches. Measures and tracks physiological signals that reflect emotion such as heart rate, sweat, temperature, muscle tension, and breathing rate. Monitors behavior associated with mood changes such as sleep quality, activity level, mobility and social interaction. Recommends customized activities to improve emotional wellbeing such as mindfulness, meditation, sleep training, breathing and relaxation exercises. Introduces Cognitive Behavioral Therapies and Positive Psychology as a behavioral interventions to improve emotional health. EudaeSense is the final project for the University of California, Berkeley – Master of Information Management and Systems program. This is an interdisciplinary program, requiring aspects of computer science, cognitive science, psychology and sociology, economics, business, law, library/information studies, and communications. 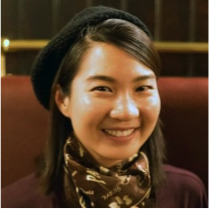 Audrey has researched, designed, and prototyped several projects involving data analytics, information visualization, and web and mobile applications. Prior to graduate school, she co-founded two startups and managed teams in fraud investigation and auditing. As an undergraduate psychology major and prior volunteer at the Berkeley Greater Good Science Center, she is a strong advocate for emotional and mental well-being and experienced to guide and execute this project. April Dawn has 10+ years of management experience, leading cross-functional teams to meet business goals. 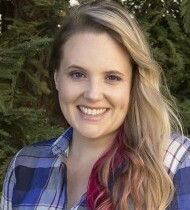 With an undergraduate education in economics, computer science and engineering, she offers unique insight to improving human-technological interactions. She has been focused on strengthening technical proficiencies in software development, systems architecture and machine learning. 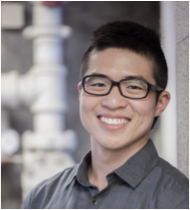 As a masters student, Richard brings an HCI and UX/UI design skill set, and aims to be a generalist with a specific focus on helping the team scope out the landscape on the existing mood tracking mobile applications, creating prototypes, and conducting user research and expert interviews. He has a background in cognitive science and is deeply passionate about finding a truly effective way for people to fight back and overcome their struggles with depression. Site developed by Belle Jackson Design. All rights reserved.